Valentine’s Day is the celebration of chocolate and candy. Ok, maybe love, too, but mostly chocolate and candy. So it’s only fitting that you have a sweet treat to devour on February 14th, whether you have a Nicholas Sparks-type romance or you’re in a relationship with Netflix. Here are the desserts to eat based on your relationship status this Valentine’s Day, because chocolate is forever. Single and ready to mingle? Nothing screams, “I’m cute, yummy, and fun,” as an assortment of donuts. You can even make your own with this recipe. 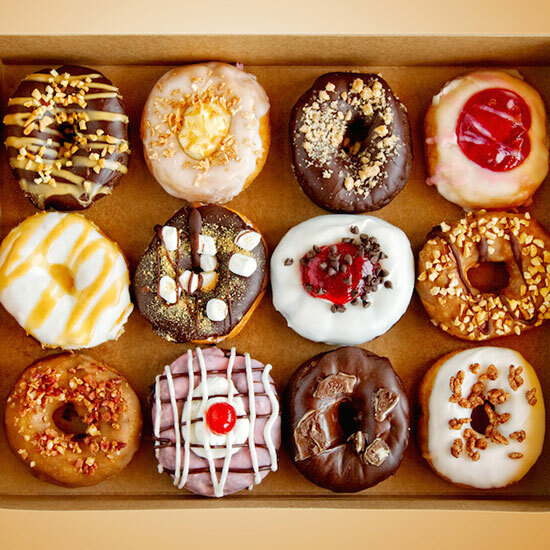 Gather up your single friends and share a dozen. Not only will you get to share your Valentine’s Day sugar high with your other single friends, you may even entice a cute passerby who wants to join in on the fun and change that single status. Ah, the awful pre-Valentine’s Day break up. In this situation, it’s only fitting to turn to your classic break up food, ice cream. 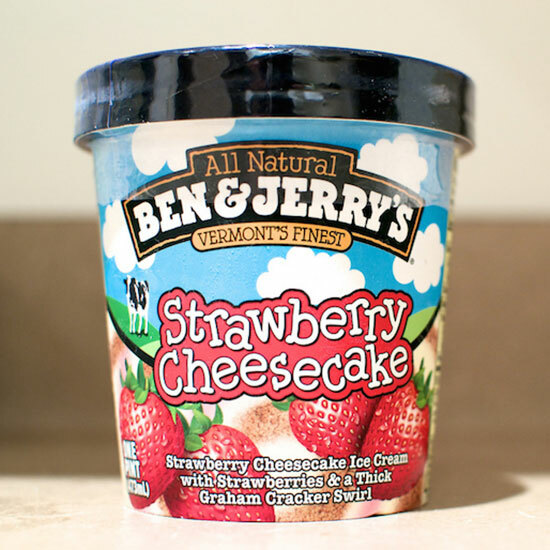 Grab a pint and a spoon, throw on your pj’s, and let the tears fall. We’ve even got a guide to pairing Ben and Jerry’s with wine if you wanna go all in. If you haven’t DTR’d quite yet, Valentine’s Day can be a confusing time. 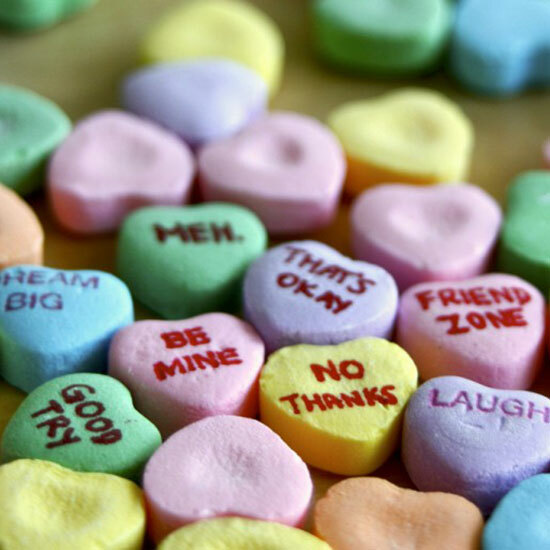 Grab a box of conversation hearts, pick a heart, and let the message answer your relationship questions. The hearts bear a variety of messages that are bound to debunk your relationship status. Or maybe you’re better off just enjoying the candy and then calling up your guy to ask him what he’s really thinking. 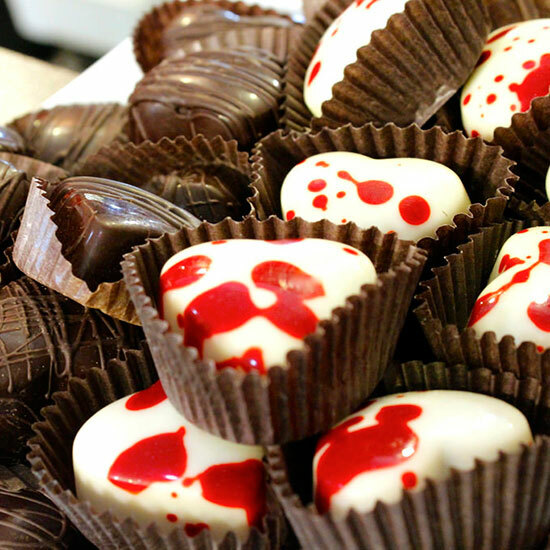 You’ve got the guy (or girl), now all you need for a successful Valentine’s Day is chocolate. 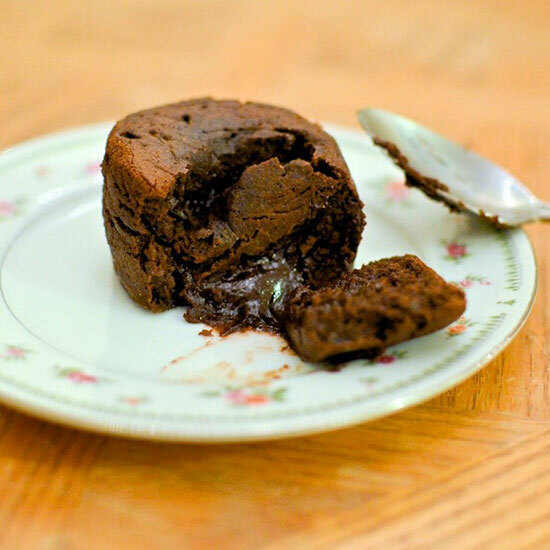 Make a chocolatey dessert for two, like these chocolate lava cakes, to share with your significant other. If you find yourself wandering down a familiar path this Valentine’s Day, you need a treat that is as low commitment as your hook up. 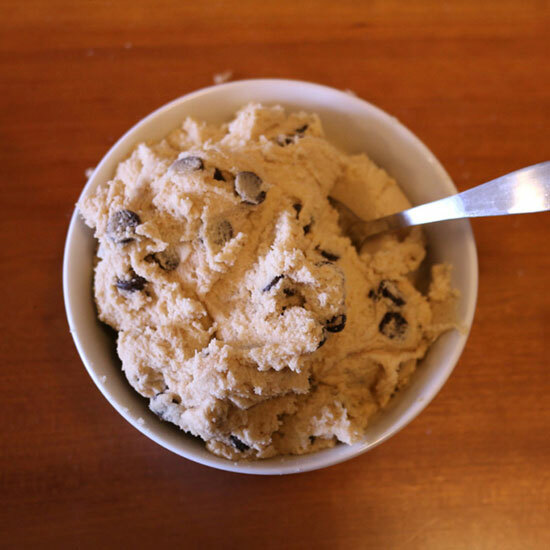 Try cookie dough – whether you want to eat a few spoonfuls, make your own, or bake up a dozen – you’ve got options. There’s no obligation to actually bake the dough because it’s just as delicious eaten raw and quickly shoved back in the fridge, right? You can even turn it into homemade cookie dough dip. You just started dating someone and you don’t know them too well yet, so your relationship has endless possibilities. Will you be just not that into them? Or are they the one? Forrest Gump said, “Life is like a box of chocolates. You never know what you’re gonna get.” This Valentine’s Day, treat yourself to a box of chocolates and enjoy the variety. Will it be raspberry-filled? Caramel? The possibilities are endless.